Your humble artist (that being I) is proud to announce that my animation project is finally available! A CGI production of Macbeth, with all characters played by sci-fi robots :). We also put in modern English subtitles, so it’s easy to follow. We got the budget through Kickstarter, and spent the past year putting this together. It’s great to see it up and ready! Since hitting our fundraising goal on Kickstarter 2 short weeks ago, it’s been back to the drawing board on our robot design! 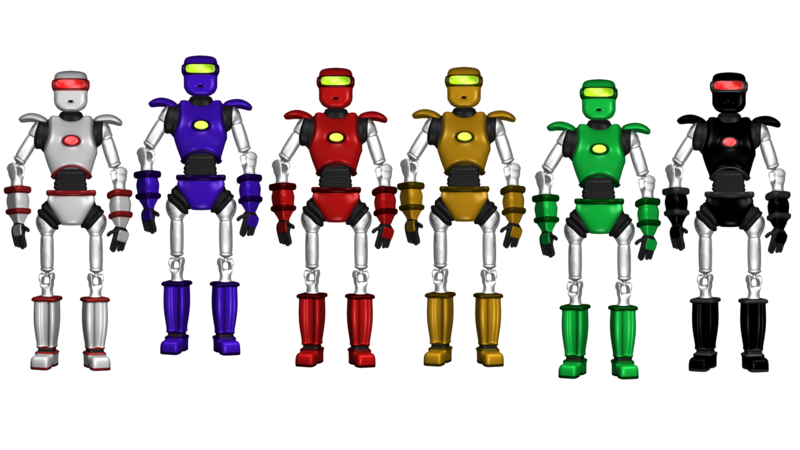 Check out the newest models for Bit Players (all the extras and small roles). To give you an idea of the changes made, check out the evolution. 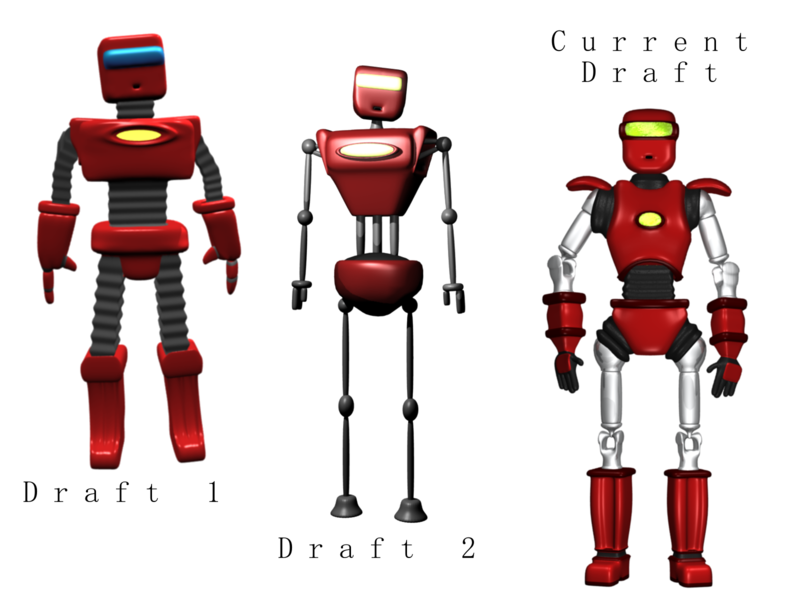 Draft 1 is the very first model I made, back when the idea was first formed. Draft 2 is what appeared in the video you saw on Kickstarter. The Rawr is up on Kickstarter looking to raise the funds for a CGI Macbeth! Check out the theater-‘toon geekery right here.